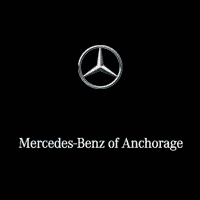 Thank you for your interest in one of Mercedes-Benz of Anchorage's online offerings. Please continue for more information regarding this 2017 Mercedes-Benz C-Class C 300 with 17,400mi. Excellence, luxury and stature are just a few of the pillars this car is built upon. You could spend more on fuel each month than on your vehicle payments, so why not consider one with exceptional fuel economy like this 2017 Mercedes-Benz C-Class. This Mercedes-Benz C-Class is equipped with AWD for improved handling. Whether you're faced with inclement weather or just out enjoying the twisting back road, you'll have the grip of AWD on your side. Exceptional in every sense of the word, this incredibly low mileage vehicle is one of a kind.